I'm now thinking about a larger issue still. If placebo medicine can induce people to release hidden healing resources, are there other ways in which the cultural environment can "give permission" to people to come out of their shells and to do things they wouldn't have done in the past? Can cultural signals encourage people to reveal sides of their personality or faculties that they wouldn't have dared to reveal in the past? Or for that matter can culture block them? There's good reason to think this is in fact our history. 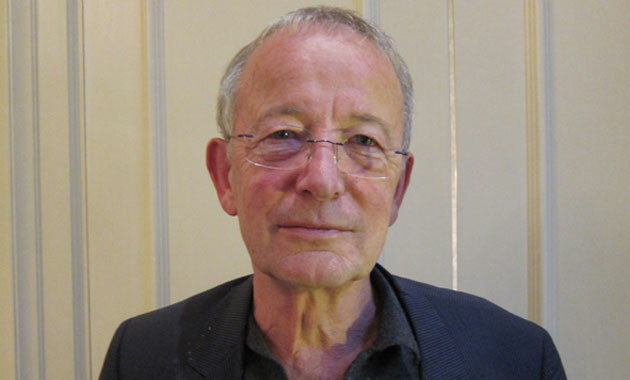 NICHOLAS HUMPHREY has held posts at Oxford and Cambridge Universities, and is now School Professor Emeritus at the LSE. He is a theoretical psychologist, internationally known for his work on the evolution of human intelligence and consciousness. His most recent book is Soul Dust. [NICHOLAS HUMPHREY:] I was asked to write an essay recently for "Current Biology" on the evolution of human health. It's not really my subject, I should say, but it certainly got me thinking. One of the more provocative thoughts I had is about the role of medicine. If human health has changed for the better in the late stages of evolution, this has surely had a lot to do with the possibility of consulting doctors, and the use of drugs. But the surprising thing is that, until less than 100 years ago, there was hardly anything a doctor could do that would be effective in any physiological medicinal way—and still the doctor's ministrations often "worked". That's to say, under the influence of what we would today call placebo medicine people came to feel less pain, to experience less fever, their inflammations receded, and so on. Now, when people are cured by placebo medicine, they are in reality curing themselves. But why should this have become an available option late in human evolution, when it wasn't in the past. I realized it must be the result of a trick that has been played by human culture. The trick isto persuade sick people that they have a "license" to get better, because they'rein the hands of supposed specialists who know what's best for them and can offer practical help and reinforcements. And the reason this works is that it reassures people—subconsciously —that the costs of self-cure will be affordable and that it's safe to let down their guard. So health has improved because of a cultural subterfuge. It's been a pretty remarkable development. Go back 10 or 20,000 years ago. Eccentricity would not have been tolerated. Unusual intelligence would not have been tolerated. Even behaving "out of character" would not have been tolerated. People were expected to conform, and they did conform, because they picked up the cues from their environment about the right and proper—the adaptive—way to behave. In response to cultural signals people were in effect policing their own personality. And they still are. In fact we now have plenty of experimental evidence about the operation of "sub-conscious primes", how signals from the local environment get to people without their knowing it and, by changing their character and attitudes, regulate the face they present to the world. It can be a change for the worse (at least as we'd see it today). But so too it can be a change for the better. People become, let's say, more pro-social, more generous. Let's take this particular example. What cues might people pick up on that would turn them into nicer people? Well, remarkably enough just seeing something out of the corner of one's eye which suggests that other people are behaving nicely can do it. There's a wonderful experiment I heard described at a conference in Kyoto a few months ago. What the Japanese scientists did was to get their subjects to play a cooperation game, a prisoner's dilemma game, online. Subjects could choose to act generously, trust the opponent, or mistrust and default on the exchange. Now, to one side of the computer on which subjects were playing this game, the experimenters had set up another computer with a screen-saver on it. There were two conditions. In one the screen-saver showed a little animation of two balls, one of which was helping another one over a barrier, coming up underneath it and giving it a shove-over; in the other, one of the balls was hindering another from getting over the barrier by getting in its way. Astonishingly, the subjects of this experiment who had the cooperative animation running on the screen to one side were twice as likely to cooperate in their game with another player online, even though they didn't acknowledge that they'd noticed anything on the secondary screen. And even if they had noticed it, so what? I mean why should they copy something which is just going on a screen-saver? But this is just one example. Now almost every month's issue of Psychological Science, for instance, reports some striking new finding about how cues from the surroundings can change people's nature. Moral judgments, reasoning skills, personal hygiene, political attitudes —you name it—are all proving to be unexpectedly malleable, as people respond to the social and physical weather signals that their brains (if not their conscious minds) pick up on. It's been a tremendous surprise for experimental psychology and social psychology, because until now it's been widely assumed that people's characters are in fact pretty much fixed. People don't blow with the wind, they don't become a different kind of person depending on local and apparently irrelevant cues . . . But after all, it seems they do. So what's going on? We need a theory. You'll have guessed the way I want to take it. I began with the placebo effect. To explain placebos I think we need to invoke the existence of an "evolved health management system". The placebo effect is a particular kind of priming effect. And what I want to do now is to explain a whole range of other priming effects by invoking the existence of an "evolved self-management system". Let's start over again with placebos. Some years ago I drew attention to the "paradox of placebos", a paradox that must strike any evolutionary biologist who thinks about it. It's this. When a person's health improves under the influence of placebo medication, then, as we've noted already, this has to be a case of "self-cure". But if people have the capacity to heal themselves by their own efforts, why not get on with it as soon as needed? Why wait for permission—from a sugar pill, a witch doctor—that it's time to get better? Presumably the explanation must be that self-cure has costs as well as benefits. What kind of costs are these? Well, actually they're fairly obvious. Many of the illnesses we experience, like pain, fever and so on, are actually defenses which are designed to stop us from getting into more trouble than we're already in. So "curing" ourselves of these defenses can indeed cost us down the line. Pain reduces our mobility, for example, and stops us from harming ourselves further; so, relieving ourselves of pain is actually quite risky. Fever helps kill bacterial parasites by raising body temperature to a level they can't tolerate; so again, curing ourselves of fever is risky. Vomiting gets rid of toxins; so suppressing vomiting is risky. The same goes for the deployment of the immune system. Mounting an immune response is energetically expensive. Our metabolic rate rises 15 percent or so, even if we're just responding to a common cold. What's more, when we make antibodies we use up rare nutrients that will later have to be replaced. Given these costs, it becomes clear that immediate self-cure from an occurrent illness is not always a wise thing to do. In fact there will be circumstances when it would be best to hold back from deploying particular healing measures because the anticipated benefits are not likely to exceed the anticipated costs. In general it will be wise to err on side of caution, to play safe, not to let down our defenses such as pain or fever until we see signs that the danger has passed, not to use up our stock of ammunition against parasites until we know we're in relatively good shape and there's not still worse to come. Healing ourselves involves—or ought to involve—a judgment call. It makes sense that our brains should have come to play a crucial part in the top-down management of bodily health. As I see it, what the health management system has evolved to do is to perform a kind of economic analysis of what the opportunities and the costs of cure will be: what resources we've got in reserve, how dangerous the situation is right now, what predictions we can make of what the future holds. In effect the system acts like a good hospital manager who has to decide just what resources to keep in store, how quickly to treat a patient, how long before discharging them, etc., overall trying to produce an optimal outcome on the basis of a forecast about what's coming down the road: whether there's another epidemic looming, for example, or whether we're entering a season where there won't be enough food available. There's plenty of evidence that we have just such a system at work overseeing our health. For example, in winter, we are cautious about deploying our immune resources. That's why a cold lasts much longer in winter than it does in summer. It's not because we're cold, it's because our bodies, based on deep evolutionary history reckon that it's not so safe to use our immune resources in winter, as it would be in summer. There's experimental confirmation of this in animals. Suppose a hamster is injected with bacteria which makes it sick—but in one case the hamster is on an artificial day/night cycle that suggests it's summer; in the other case it's on a cycle that suggests it's winter. If the hamster is tricked into thinking it's summer, it throws everything it has got against the infection and recovers completely. If it thinks it's winter then it just mounts a holding operation, as if it's waiting until it knows it's safe to mount a full-scale response. The hamster "thinks" this or that?? No, of course it doesn't think it consciously—the light cycle acts as a subconscious prime to the hamster's health management system. So now, where does the placebo effect fit in? Placebos work because they suggest to people that the picture is rosier than it really is. Just like the artificial summer light cycle for the hamster, placebos give people fake information that it's safe to cure them. Whereupon they do just that. This suggests we should see the placebo effect as part of a much larger picture of homeostasis and bodily self-control. But now I'm ready to expand on this much further still. If this is the way humans and animals manage their physical health, there must surely be a similar story to be told about mental health. And if mental health, then—at least with humans—it should apply topersonality and character as well. So I've come round to the idea that humans have in fact evolved a full-blown self management system, with the job of managing all their psychological resources put together, so as to optimise the persona they present to the world. You may ask: why should the self need any such "economic managing"? Are there really aspects of the self that should be kept in reserve? Do psychological traits have costs as well as benefits? But I'd say it's easy to see how it is so. Emotions such as anxiety, anger, joy will be counterproductive if they are not appropriately graded. Personality traits—assertiveness, neuroticism, and friendliness—have both down- and up-sides. Sexual attractiveness carries obvious risks. Pride comes before a fall. Even high intelligence can be a disadvantage (we can be "too clever by half", as they say). What's more—and this may be the area where economic management is most relevant of all— as people go through life they build up social psychological capital of various kinds that they need to husband carefully. Reputation is precious, love should not be wasted indiscriminately, secrets have to be guarded, favors must be returned. So, I think humans must have come under strong selection pressure in the course of evolution to get these calculations right. Our ancestors needed to develop a system for managing the face they present to the world: how they came across to other people, when to flirt, when to hold back, when to be generous, when to be mean, when to fall in love, when to reject, when to reciprocate, when to punish, when to take the lead, when to retire, and so on. . . All these aspects had to be very carefully balanced if they were going to maximize their chances of success in the social world. Fortunately our ancestors already had a template for doing these calculations, namely the pre-existing health system. In fact I believe the self management system evolved on the back of the health system. But this new system goes much further than the older one: it's job is to read the local signs and signs and forecast the psychological weather we are heading into, enabling us to prejudge what we can get away with, what's politic, what's expected of us. Not surprisingly, it's turned out to be a very complex system. That's why psychologists working on priming are discovering so many cues, which are relevant to it. For there are of course so many things that are relevant to managing our personal lives and coming across in the most effective and self-promoting ways we can. Once we have a theoretical understanding of how all this works, can we exploit it in practical ways to change people's lives for the better? Does it offer us tools for social engineering? Just as we've discovered how to use placebo medicine to persuade people to heal themselves when they wouldn't have dared to otherwise, can we discover placebo treatments for the self—pretenses about the environment they're in that persuade people to reveal sides of their character they wouldn't have dared to reveal otherwise? It's important to appreciate that the self management system, even if it is a much more recent evolutionary development than the health management system, was fashioned in prehistoric times when our ancestors were living under very different material and social circumstances from ours today. Because our circumstances have generally improved in the last ten thousand years, and yet evolutionary catch-up occurs relatively slowly, this means that both systems will have become "out of date" in the way they calculate costs and benefits. At both the health-level and the self-level, there are bound to be things humans could not risk doing in the past that they can risk now. As we've seen, placebo medication works by tricking the subject with false information into believing the situation warrants a reduction in pain, for example, or the mounting of an expensive immune response. Yet it's precisely because our environment today is less dangerous than it used to be, that responding to this trick no longer puts us at an unacceptable risk. Today we live in a world which is much safer from infection,, safer nutritionally, safer from all the other dangers which might have assailed us. So we can now take the risk of dropping our defenses when the snake oil, the psychoanalysis, the orgone box, or whatever it is encourages us to do so. That's why placebo medicine today can in fact be counted an unqualified boon. But now, because the same kind of improvement has occurred in our social lives, the same goes for the risks with managing the self. In the "environment of evolutionary adaptiveness"—the social and physical environment, 100,000-10,000 years ago, in which many of our biological adaptations were laid down—our ancestors lived in very small scale societies, where individuals were monitored all the time by the group, and it was essential to conform to others' expectations. There's still evidence enough of this in modern times. Self-stereotyping provides a depressing example. Dozens of studies show how even today people respond to reminders of racial or gender or age stereotypes by becoming more like the model. Put up a poster of a naked woman anywhere in the vicinity of where a woman is taking a math test and her score goes down. Actually even just ask her to state her gender at the top of the exam page and her scores go down. But, as I said, the world has changed—or at least is changing for most of us. We no longer live in such an oppressive environment. We no longer need to play by the old rules, and rein in our peculiar strengths and idiosyncrasies. We can afford to take risks now we couldn't before. So, yes, I'm hopeful. I think it really ought to be possible to devise placebo treatments for the self, which do indeed induce them to come out from their protective shells —and so to emerge as happier, nicer, cleverer, more creative people than they would ever otherwise have dared to be. You may think I'm beginning to sound like a Sunday school preacher! But don't get me wrong. Of course it would be great if these ideas turn out to have practical value and actually do some good. But I should say, for me as a scientist, it's not all about changing the world; it's also about understanding it. The bottom line is I want to know why individual human beings turn out like they do, why we respond to "messages" from our social and physical environments in such interesting ways—not just the things I've talked about above, but in so many other ways that are at present unexplained. Why, for example, do religious messages get to us and change us for the better (or worse)? Why do aesthetic messages, art, architecture, music do so, if and when they do? Are they all acting in some way as placebos (or nocebos) for the self? And then what about the messages we pick up from the natural world? I've become particularly interested in how nature itself may provide placebo information, by seeming to suggest that we're in the presence of a great designer, a creator, God. Wherever we look, there's no question the natural world shouts "intelligent design", shouts of a great artist in the sky. And, admit it or not, I'm sure this can provide a powerful subconscious prime. It can make us believe that we're in the presence of a loving father, or perhaps a loving partner, someone whom we should look up to and want to get closer to—but who gives us permission to be such selves as we wouldn't be otherwise. If overt religious messages can act as placebos, then so too can the beauties of nature, so too can the sun and the moon and the stars. There's so much to explore here, once we start thinking about the forces that make us who we are. Of course we shouldn't overdo the evolutionary heritage, as if inheritance is determining everything that matters. But there's no question it's real and important. When I think about how events in our evolutionary past still shape our lives today, I like to draw a parallel with the echoes of the Big Bang, the background microwave radiation, which can still be detected in the telescopes we send to space. Likewise, the human genome carries vibrations from the deep, deep childhood of our species, which still show up in contemporary behavior. Every one of us brings the past into the present. My thinking about the evolutionary background of health and disease came out of an opportunity I was given 13 years ago when, rather to my surprise, I got a senior research fellowship in evolutionary psychopathology. I don't think the university, the LSE, knew quite what this was meant to be. And certainly I didn't when I took up the fellowship. But I rather soon homed in on the placebo effect as a suitably mysterious phenomenon to study. And I began to develop the ideas I've described about the evolved health management system. Anne Harrington, at Harvard, heard I was doing this work, and invited me to become a member of the Harvard Placebo Study group. That led to a lot of really interesting interaction with the physiologists, biochemists, philosophers, psychologists who made up the group. We met many times. Most memorably we met in my house in Ireland where we convened in order to make a film documentary in 2002 called "Placebo: Cracking the Code." We got together to throw around ideas and, of course, my role in it was to try to persuade people to look at this stuff from an evolutionary perspective, which I may say hadn't occurred to any of the others. They taught me lots of new things, but that was one way in which I was able to bring a new perspective to this group. Richard Dawkins got wind of what I was doing and put me on camera to talk about alternative medicine in a program called "Enemies of Reason". We talked in the end for an hour and a half about the health management system and the placebo effect. And Richard's eyes grew wider and wider as I gave a defense of alternative medicine, saying of course it works, and it works for a reason, because it gives people a safety signal. It gives them the belief that they are in a secure environment in which they can now release their healing resources, they can afford to let down their guard. Richard put the lengthy unedited out-takes from the interview on his Website. It's a very strange bit of film because the camera's wandering all over the place. Richard and I are throwing ideas around. But it's been one of my most successful exposures to the public. It's now been downloaded 60,000 times and received rave reviews, in terms of comments people put on YouTube. So it's interesting, the world is changing. The way to get your ideas across now is to talk to Richard, at such length that he can't use it all in his film, but he can put it up on YouTube. And that's where people will go rather than reading the scientific papers or the essays in the Oxford Companion to the Mind, which of course were my own ways of trying to reach an audience before. I'm at the end of this game, but rather new to it. This is a fascinating piece, especially the parallels between the health management system and the postulated self management system. Nick asks what sorts of social engineering systems might nudge people's self management systems in various directions. Presumably if the social engineering systems are supported by a plurality of the local population, those social engineering systems will tend to favor pro-social traits, including higher agreeableness/kindness, higher conscientiousness/reliability, higher extraversion/outgoingness, and higher emotional stability/happiness — at least towards in-group members. Nick mentioned religion, art, architecture, and music as candidate social engineering systems, and I think they usually do promote such pro-social traits. I might suggest that almost all ideologies work mainly as social engineering systems (though in different ways), including communism, socialism, fascism, liberalism, romanticism, capitalism, feminism, utilitarianism, benign corporate cultures (Apple, Google), and, of course, science itself. Another form of social engineering with more direct effects on brains would be the social use of certain mind-altering substances such as alcohol, coffee, tobacco, cannabis, and ecstasy. (One could argue that the Enlightenment was sparked in the convivial coffee houses of Britain — which numbered more than 3,000 by 1675.) Especially insightful in this regard is the new paper "Drugs as instruments: A new framework for non-addictive drug use" by Christian Müller and Gunter Schumann in the journal Behavioral and Brain Sciences. Chapter 11 "THE THICK MOMENT"